The name “Central Supply” has been synonymous with “local customer service” for over 100 years and four generations. 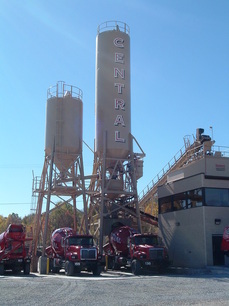 Currently, Central Supply consists of nine ready mix concrete plants, one block plant and five building supply stores servicing communities throughout north and central West Virginia, Southwest Pennsylvania and Western Maryland. 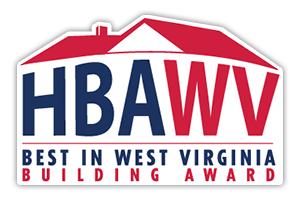 We make every effort to promote our “in house” manufactured product lines, including Ready-Mixed Concrete, Concrete Block, Colored Split Face Block and Retaining Wall Systems. Our retail lineup consists of Insulated Concrete Forms, Veneer Building Brick, Architectural Pavers, Retaining Wall Systems, along with an extensive selection of manufactured and natural stone products complemented by our complete line of building materials products. We support these business lines by offering a fleet of front discharge ready mix trucks, truck mounted telescoping placement conveyors, Concrete Pumps, and for those hard to get too locations we offer up our smaller 4CY “Mini Mee’s”. Our block delivery fleet includes 35’ booms for long reach applications, Tractor Trailers, Moffit Trucks and the areas only Trax Max All Terrain “Track Drive” Forklift for the tough access locations. We top all this off by offering up what we feel to be the most experienced customer service driven employee base in the industry. In 2011, Central Supply joined CRH Americas Materials. CRH Americas Materials is the leading vertically integrated supplier of aggregates, cement, asphalt, ready-mix concrete, and paving and construction services in North America. Headquartered in Atlanta, GA, CRH Americas Materials is the North American arm of CRH, one of the world’s leading building products and materials companies headquartered in Dublin, Ireland. 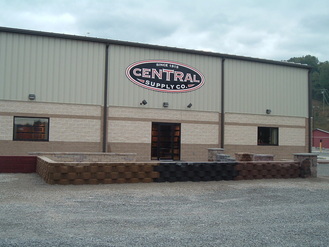 The acquisition of Central Supply was CRH’s Americas Materials first into ready mix concrete, block and building material supplies in West Virginia. Central Supply Company, an Equal Opportunity Employer, offers careers with growth opportunities and excellent benefits. We are always searching for talented individuals, including CDL licensed drivers who share our high performance standards and our value of delivering excellent customer service. For additional information on how to apply for the “RED TRUCK TEAM,” please click here to visit our Employment page. Central Supply Company is an Equal Opportunity Employer.